With its beautiful beaches, villages and warm weather Portugal has been attracting wealthy expats looking to retire under the sun. The fact that the country has a tax-free retirement income, unlike traditional European expat destinations, such as Italy and Spain as made it even more attractive to retirees. Portugal introduced non-habitual residency (NHR) status in 2009 to actively encourage wealthy people to relocate there. Eligible professionals within an industry considered scientific, artistic or technical in nature, benefit from a flat 20% income tax rate. The NHR status is also attractive to retirees as most withdrawals from UK pensions taken as income or lump sums are completely tax-free in the first 10 years living there. Furthermore, under the Portugal/UK tax agreement Portugal has sole taxing rights and has also made state pensions, UK investment income such as interests, dividends or capital gains and overseas rental property income tax-free. Enough reasons for wealthy expats to flock to Portugal once retirement hits. The Algarve, to the South, has been named the best option for those looking to retire overseas in 2019. 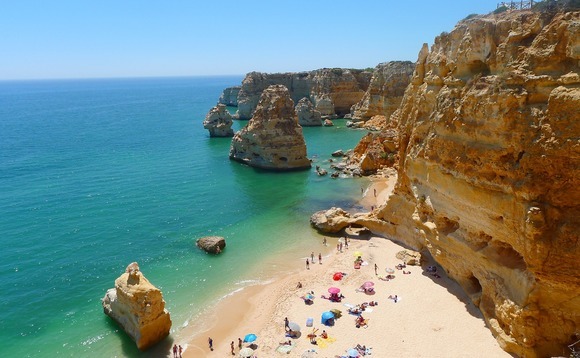 "The Algarve is beautiful, affordable, welcoming, friendly, and safe. It boasts some of the world's best beaches and best golf courses plus a long and interesting history," specialised news outlet Life and Invest Overseas said. For a person to qualify they must first become a tax resident of Portugal, and should remain for more than 183 days in Portugal during the relevant fiscal year or have a dwelling in Portugal with the intention of holding it as the habitual residence. Portugal's generosity to retired foreigners has been disparaged by Portuguese locals. They can pay up to 48% on their pensions and property prices rose by 10% last year which was likely caused by the extra demand from foreign buyers.